Earlier this month, Etisalat announced a suite of annual add-ons that offered its postpaid users flexible payments for big data. 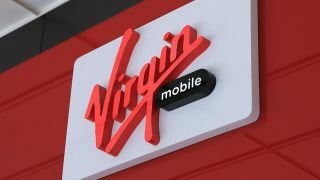 Now Virgin mobile has jumped on the bandwagon by unveiling a new suite of yearly plans that offers its users even more choice and flexibility. Users can now opt for six month or twelve month mobile plans with one time payments that can net them up to 50% in mobile bill savings - a first for the region. For instance, your previous plan of 10GB data and 500 local minutes that cost AED 299 per month will cost just AED 149.50 per month on Virgin’s yearly plan and around AED 209 per month on the six month plan. The only downside to these plans is that you’ll be locked into the plan for that period of time and won’t be able to switch things up every month which was one of Virgin Mobile’s most attractive benefits. Virgin Mobile’s new yearly and six month plans are limited time offers available across all of Virgin’s 125 customisable plans and can be subscribed to exclusively through the Virgin Mobile app on iOS and Android.